2017 was a special year for the Burdicks! As you can see by the picture, we now have a new son-in-law! 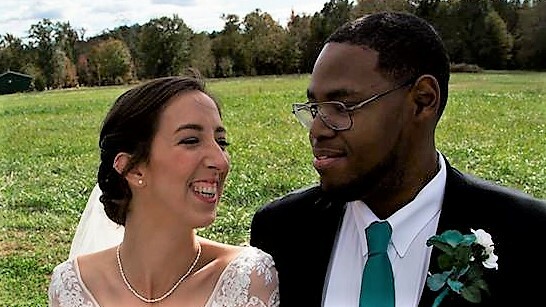 Devri and Jerome were married on October 29 at Kim’s parents’ place in Pickens, SC. I was so excited to be able to both walk Devri down the aisle and officiate the service, thanks to some help from Jerome’s uncles who are pastors. Devri was absolutely radiant in her wedding dress! The weather cooperated too. Just as they were saying their vows the sun came out. It was a wonderful time of celebrating love, life, and family. Devri and Jerome live in Central, SC now. Devri continues her job teaching elementary children with special needs, and Jerome is an assistant basketball coach at Southern Wesleyan University where Devri went to college. Pray for them as they start their married life. Many of you are aware that Kim’s mom, Starr Craig was sent home from the hospital just before Labor Day. They took her off all chemotherapy and told her she had about two weeks to live. She went on hospice, but has surprised everyone and rebounded with steadily improving health. She was able to walk down the aisle at Devri’s wedding, came to Charlotte for Thanksgiving, and is now planning for Christmas and beyond. She has a grandbaby due in March from Kim’s brother Matt and his wife Hannah. Starr is praying to be able to see their new little one, and to be able to make another special event in April, which I will tell you about in a moment. Do keep Starr, Kim’s dad Phil, Kim and the rest of the family in your prayers. It truly has been a miracle! Now for the other news. 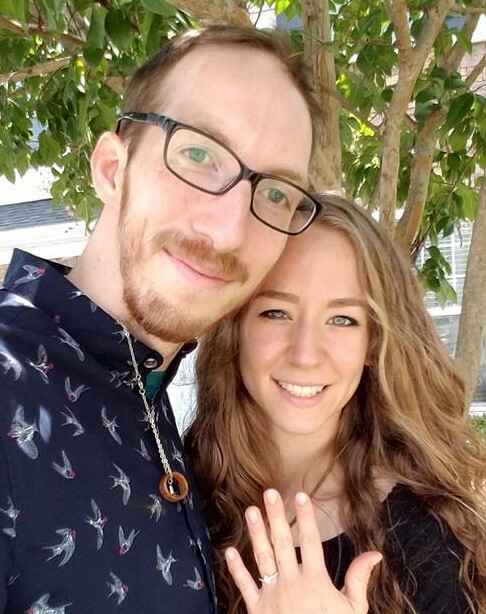 Dawson is getting married on April 28 to Miss Leah Seith! We are so excited, and he is so in love! We have known Leah’s family since we moved from the Philippines to Charlotte, celebrating Thanksgivings and other special moments together. Leah works as an executive pastry chef at a local country club, and Dawson now works for a Christian school in north Charlotte as a media manager and teacher of video editing, filming, photography, and video animation. They will live in Charlotte after they are married and continue in their jobs. God is using both of them and we are so excited to gain another daughter-in-law. Pray for them too, as they start married life. Drew and Jordyn are doing well, and so are our grandkids, Amelie and Mathis. We love getting to baby sit from time to time. They are great kids! Drew and Jordyn are super parents. Drew just got a new job and will be working in uptown Charlotte now, closer to home and with much more responsibility as a senior designer in a global company. Jordyn works for her dad and watches the kids. They are super active in their church. Jordyn sings on the worship team and Drew does their website. Do keep them and their kids in prayer. Danya is a senior at Western Carolina University majoring in elementary education. She will graduate a year from now because she has a double minor in art and teaching English to speakers of other languages (TESOL). She continues to date a fine young man, Daniel Ortiz, who is studying to become a police officer. Danya did not march in band this year to focus on her studies. She is doing some practice teaching and really enjoys it. Pray for God to continue opening doors for her future. Kim and I keep busy in our roles, Kim as LifeGroups Coordinator at our church, and me with Gordon-Conwell Seminary, the Lausanne Movement, and the Center for Intercultural Training. I will be going to South Africa and Italy in February and March to interview people for Lausanne Global Classrooms on Creation Care and Nominalism. I am looking forward to that. Pray that we can balance our many roles in ministry and still have time for family. We are in good health and thank the Lord for that. We so appreciate your friendship, prayers, and interest in us. We love and appreciate you too. Have a merry Christmas and may God bless you in 2018!